If we leave aside the problem of battery, then which is the most limiting factor for wide-spread usage of any mobile app? Answer is Internet coverage. And the best part is that its free. Initially it was launched on iOS, where it received huge reception. 100,000 downloads per day was reported for this exciting new application. Within few days of its launch, it was clocking 1.14 download per second! 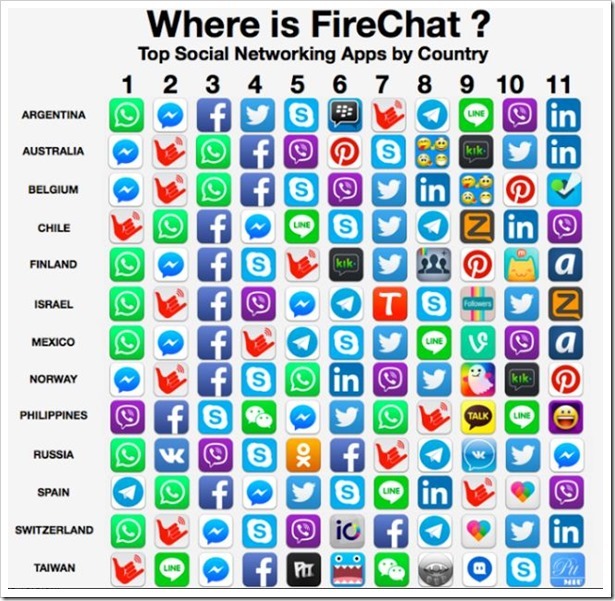 For more than 80 countries, Firechat has reached top 10 position within social networking apps for iOS. 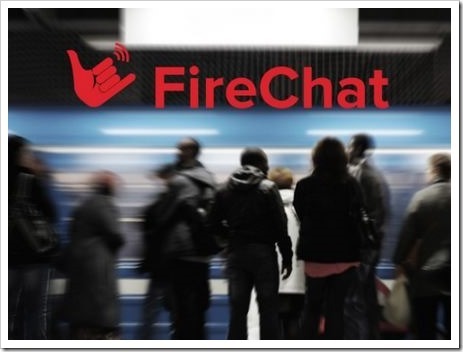 Firechat lets you chat anonymously, and without any internet connection; and this is the main reason for its huge popularity. Few days back, Firechat was launched for Android Playstore, and its popularity matched here as well where it quickly climbed the popularity charts. For Android phones, this application uses a unique concept called “Wireless Mesh Networking” which connects thousands of devices with one another, just like a chain. It is like thousands of radios connecting with one another, creating a huge network of communication wherein no internet protocol is required. It would be really helpful in remote locations where network coverage is still far away and modes of communication are limited. This type of connectivity is also called “Off the grid” communication wherein no spy agency can track or record your conversations. As no internet is used, Firechat lets to chat completely anonymously, without any trace. For iOS, Firechat uses a technology called “Multipeer Connectivity Framework” which Apple has included in its latest iOS 7 update. Anyone can create an application similar to Firechat using this technology. The downside is that, this Firechat can only be used with other users who are within 30-100 feet of the range. And iOS user having Firechat can only chat with another iOS user having Firechat and so with Android. Although Firechat has another version which uses Internet as communication medium; which can be used by all and sundry, just like WhatsApp or WeChat. Yes, limitations exist for Firechat as of now, but the window of opportunity opened by this exciting new idea is simply too big to ignore. Give this new Off-The-Grid Chat app a try and let us know what you think about it! WhatsApp’s Meteoric Growth: 400M Monthly Active Users, 100M Added In 4 Months!